You won't find a condo with a better view of Mount Royal and its neighbors....like you could reach out and touch it! Plus the mountain decor brings the outdoors in. The kitchen is fully equipped with everything you'll need to cook a great meal on those nights you don't go out to try the great local restaurants. WiFi in the unit keeps you in contact if needed! We love our condo and believe you will too. Everyone who has rented other Mountainside units say ours is the best! (It also has the biggest deck) Our 5-star rating by our guest-reviewers tells the story.The location is ideal for a ski vacation; our condo is within 10 miles of Copper Mountain, Breckenridge, and Keystone - it is convenient to Vail, Loveland, and A-Basin as well. Summer in the mountains with hiking, mountain biking, or boating is spectacular. Our condo has access to the great bike path between Breckenridge & Vail. There are many special community activities and festivals year round to choose from. It will be hard to find a more relaxing and enjoyable vacation spot, winter or summer! Please contact us via E-mail for any questions... we look forward to hearing from you!!! We love Summit County any time of year. We bought the mountain condo to have a beautiful place to enjoy with family. We like hiking, skiing, bike-riding and just enjoying the beautiful sights & smells of the Rockies. We love outdoor sports. 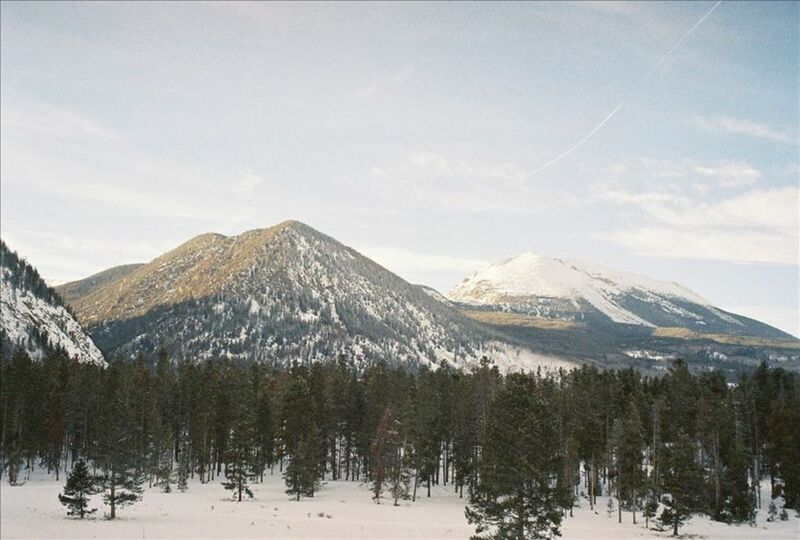 We love to travel, and there is no prettier place in the world that the Colorado Rockies. We chose Frisco because it is so charming, without the heavy dose of tourism that you find in nearby areas like Breck & Vail. The area teems with activities in both summer and winter seasons, and Frisco is right in the middle of it all. Frisco has a small-town feel, as evidenced by events like their July 4th celebration complete with a parade all the kids can participate in. We have dreamed for many years of owning a place in Summit County, not just any place but a location that supports all the activities that we enjoy. From this location we can do any winter sport including snowmobiling or skiing. Some of the summer sports come to mind easily - fishing, boating, golf, disc golf, four wheeling, and cycling. There are sporting opportunities to challenge any ability and a leisure day here is pure bliss! What first struck us about Mountainside was the spaciousness of the complex….huge lawn areas, flower beds & trees, a great little stream flowing thru, and right next to the mountains & trails! You think you are really in the middle of nowhere, but from Mountainside it is an easy walk or bike ride to all the restaurants, stores, and historic park of Frisco’s Main Street. If you don’t feel like going anywhere, you can swim, play tennis, racket ball or just relax in the hot tubs, steam room, or dry sauna. And the complex even owns its own small alpine lake, nestled in the most beautiful setting. Mountainside is not located in condo row which is refreshing. Bill's Ranch is a first class mountain residential neighborhood where people care about each other and the property. Beautiful view of the mountains from your balcony. Check out the pictures! There is seating for four at the expansive kitchen island. A folding dining table and additional chairs are tucked away and can be set up for special occasions. Loved our week in Frisco. Had an amazing week skiing in Colorado. The location of the condo in Frisco was perfect. The condo itself was clean and very comfortable. All the beds were amazing which is really important after a day skiing. Loved the swimming pool and hot tubs which were also very clean and well maintained. I would highly recommend this condo for any type of group. Family, friends ect. Thank you for the kind words, Linda. I am so glad you enjoyed your stay in the mountains and the comfy beds! Some friends and I stayed here for a ski trip; location is great - there are at least 5 ski areas within a 40 minute drive. Frisco is a great little mountain town with scores of places to shop, eat, and drink. Anne's place is very close to the heart of Frisco, Main St. This is a wonderful spot for a vacation and very comfortable, well-kept condo. It is in a beautiful location, with views of the mountains and nice pool and hot tubs. We had a great trip! Great facility in a great location - what's not to love? One of the nicest condos in mtn side! Walking distance to everything keeps my family coming back to mtn side year after year. Thank you for the kind words. So glad you enjoyed the condo. Just let me know when you are ready to return! Frisco's a great little town - located between lots of other attractions. Condo was good, won't do the third floor again as get winded going up stairs in the high altitude. Club house three outdoor whirlpools great, plus steam room and sauna. The club house locker room showers came in handy as there were 5 of us trying to shower, so a couple of us would use the clubhouse. Summertime weather is great! No humidity and highs in the low to mid 70's. Evenings pleasantly cool. Lots of stuff to do around the area, with lots of hiking or biking or rafting. Beautiful scenery! Frisco is a quaint, picturesque little town nestled right up to some very impressive Rockie mountains. It has lots of little, one-of-a-kind shops, along with a variety of restaurants which aren't members of chains, but owner-operated. Both summer and winter sports abound right outside your door!